If your location isn't listed, please choose the location nearest you. also became the first approved human trafficking program in the state of Florida. 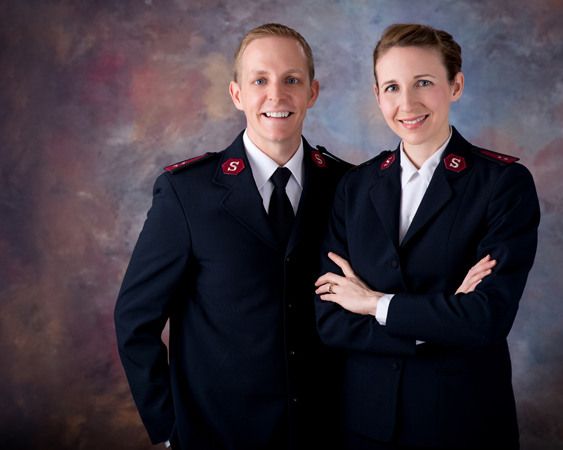 Captains Andy and Abby Miller, lead work of The Salvation Army in Tampa and Hillsborough County Florida and are excited about their daily opportunity of facilitating The Salvation Army’s mission to “preach the gospel of Jesus Christ and meet human needs in His name without discrimination.” Before serving in Tampa, the Millers led the work of the Salvation Army in Gwinnett County, GA, Arlington, TX, and Madisonville, KY. Captains Miller respectively hold undergraduate degrees from Asbury University and graduate degrees from Asbury Theological Seminary. 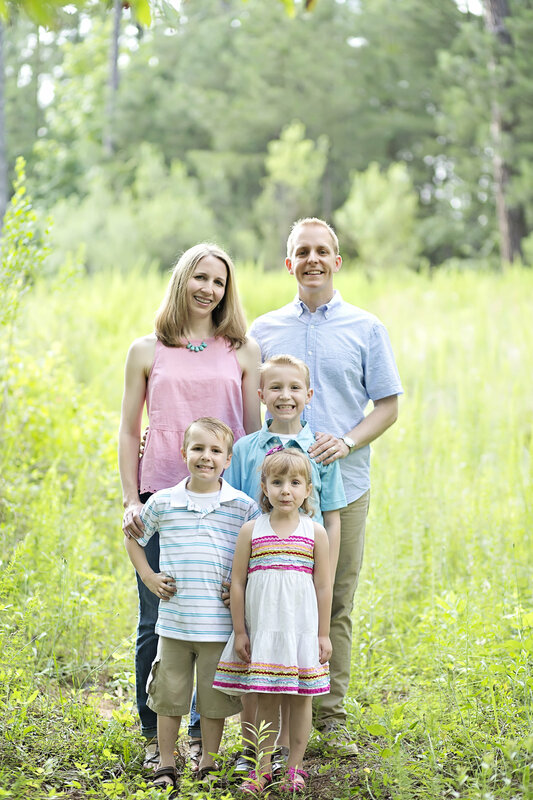 While serving in the DFW area, Andy completed a D.Min. from Southern Methodist University. Captain Andy Miller is the author of Holistic Hospitality: A Bridge to a Future Army (2015) and Stay the Course: Challenges to Salvationists from the Book of Acts (2016). 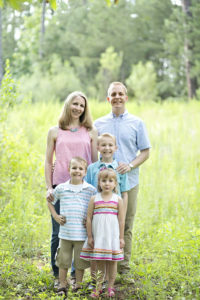 The Millers have three children: Andy IV, Titus Wesley, and Georgia. Want to talk to the Captains? Abby.Miller@uss.salvationarmy.org if you have any questions or concerns. What is the Women’s Auxiliary? The purpose of the Women’s Auxiliary is to support the services and programs of The Salvation Army’s Tampa Area Command. Auxiliary members give volunteer service hours throughout the year to assist the most needy and vulnerable in our community, including: homeless men, women and children; at-risk youths; seniors; and recovering alcoholics and drug abusers. Members help significantly through hands-on service and donating funds and items needed by Salvation Army clients throughout the year. The Auxiliary’s primary fundraising event is the Spring Fashion Show Luncheon and Silent Auction. Funds raised support major services and programs of The Salvation Army. Through the dedicated work, service and love of Auxiliary members during the past 109 years, thousands of lives have been touched. In short, the Auxiliary supports the mission of The Salvation Army to preach the gospel of Jesus Christ and to meet human needs in His name without discrimination. 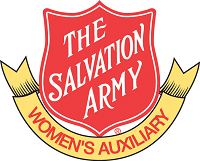 The Auxiliary meets the second Friday of the month at The Salvation Army Community Worship Center, 1100 W. Sligh Avenue. No meetings are held during the months of June, July and August. To learn more about the Women’s Auxiliary, please contact Captain Abby Miller at 813-226-0169 or Abby.Miller@uss.salvationarmy.org. Last year The Salvation Army in Tampa served more than 61,824 people through meals, shelter, and rental and utility assistance in Hillsborough County. We would like to thank you for your donations and helping families and individuals. You can continue to help those people in our community in need each day by giving, below, online, by phone or by mail. Interested in MAXIMIZING your IMPACT? Perhaps even doubling or tripling your gift to The Salvation Army? 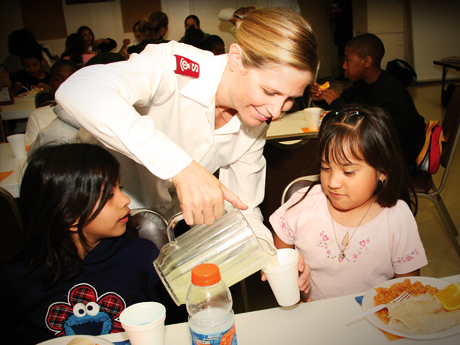 The Salvation Army is the charity that maximizes contributions. Many employers sponsor matching gift programs and will match charitable contributions made by their employees. Once you verify your company will match your donation, contact your Human Resources or Community Affairs Department to complete the matching gift process! Contact Captain Andy or Captain Abby Miller for more information at (813) 226-0055. There are a number of other ways that friends provide critical support to The Salvation Army. Often the way that a gift is made can have dramatic impact on helping to meet the long and short-term objectives of a donor. Your support is greatly appreciated and we are available to provide you with information and assistance in this important matter. If you need wording to include The Salvation Army in your estate plans, creating a life income for you and your loved ones, or in updating or creating your estate plans, please do not hesitate to contact Contact Captain Andy or Captain Abby Miller for more information at (813) 226-0055. Give Food to a family or individual in need? Below is a brief list of items that are needed to give out to residents of Hillsborough County who come to The Salvation Army for help. Donations can be dropped off Monday – Friday, 9 a.m. – 4:00 p.m. You can make financial donations to help people in need of food and meals here, call (813) 224-4119 or send check to 1603 N. Florida Ave., Tampa, Fl 33602. Other assorted items are welcome. The Salvation Army’s Red Shield Lodge is the only emergency shelter in Hillsborough County open 365 days a year. Adult men and women looking for shelter have an opportunity to receive lodging each day at our 132-bed Lodge. During a stay at a Salvation Army shelter, clients will participate in programs and workshops developed to promote self-sufficiency and personal development. The Salvation Army also works with clients to help them transition into a more permanent housing situation. On-site case workers develop, in cooperation with clients, an extensive goal-oriented program. Case workers continually motivate clients to meet these goals. In turn, clients are given responsibilities around the center, including cleaning details and other applicable tasks. Support and referral services are also available for men and women committed to regaining independence . For more information on how to qualify to receive shelter and other programs and services, contact 813-229-2063.
conditions would be exacerbated by living on the street. Join The Salvation Army of Tampa as we celebrate our 125th anniversary serving the Tampa community on November 14th at the Doing the Most Good Luncheon. The lunch is being chaired by the Laser Spine Institute, CEO Roger Cary. Former vice chairman of Ritz Carlton and current president and CEO of Capella Hotel Group, Horst Shulze will be the keynote speaker. Under his leadership, the Group was awarded the Malcolm Baldrige National Quality Award in both 1992 and 1999—the first and only hotel company to win even one such award. In addition, Ritz-Carlton was continuously voted “best hotel company in the world” by meeting and other trade publications. 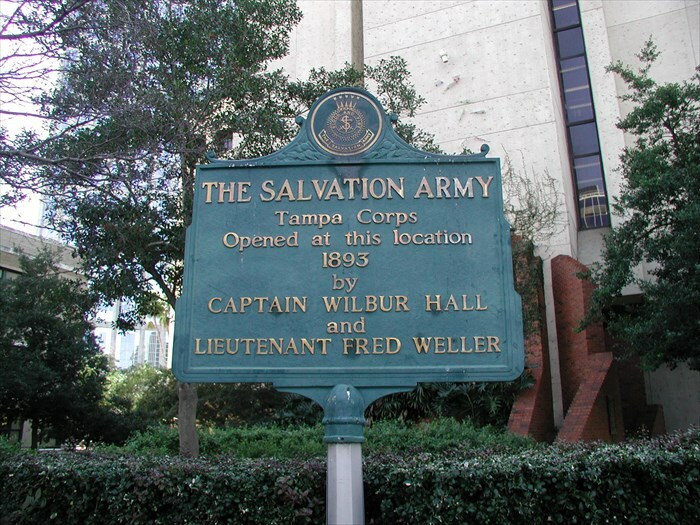 The Salvation Army of Tampa is excited to honor its past and celebrate its future. The community is invited to join in celebrating their 125th anniversary serving those in need in Tampa. The Salvation Army, an international movement, is an evangelical part of the universal Christian Church. Its message is based on the Bible. Its ministry is motivated by the love of God. Its mission is to preach the gospel of Jesus Christ and to meet human needs in His name without discrimination. The Community Worship Centers in Tampa and Riverview offer weekly church services and a variety of weekly programs that help youths develop self-esteem and life skills. For more information on services and programs at the Tampa Community Worship Center, please contact 813-549-5285. For more information on services and programs at the Riverview Worship Center, please contact 813-672-8139.